The study subjects were admitted to medication-assisted treatment over three months in 2016. The poster didn’t say whether they started buprenorphine, naltrexone, or methadone, but I’m guessing the patients were admitted to methadone maintenance. In the end, 244 subjects enrolled and had education about opioid overdose and how to use a naloxone auto injector kit. Twenty-nine subjects were lost to follow up, leaving 215 subjects available for inclusion in the study. Of these 215 subjects, 184 didn’t witness or experience overdose. That means 31 subjects either experienced or witnessed at least one opioid overdose episode. The scientists conducting the study interviewed these 31 subjects, and discovered that 39 opioid overdoses had been reversed and all of those lives were saved. Thirty-eight people were saved with the naloxone kits distributed by the opioid treatment program, and one study subject was revived by EMS personnel. When study authors looked at who was saved by these study subjects, they discovered 11% of people saved were acquaintances of the study subjects, 16% were family members, 58% were friends, 6% were the significant others of study subjects, and 13% were strangers. The study authors concluded that “a significant number of lives can be saved by using take-home naloxone for patients treated in MAT [medication assisted treatment] programs.” The authors also felt the study showed that naloxone isn’t usually on the patient who entered treatment, but more frequently on friends, relatives, and acquaintances that the MAT patient encounters. I was intrigued by this study because it mirrors what I’ve heard in the opioid treatment program where I work. We are fortunate to get naloxone kits from Project Lazarus to give to our patients. It’s rare that one of our patients enrolled in treatment needs naloxone for an overdose, but much more frequently, I hear our patients say they used their kit to save another person’s life. If anyone doubted the abilities of people with opioid use disorders, and felt they couldn’t learn to give naloxone effectively, this study should put that idea to rest. If anyone mistaken thought people with opioid use disorders wouldn’t care enough about other people to put forth an effort to save another person, this study should put that idea to rest, too. In fact, I’ve seen a real enthusiasm among our patients to make sure they have a kit, in case they get the opportunity to save a life. They are eager to help other people, and I find that to be an admirable attitude that’s nearly universal among the people we treat. This article expresses the problems that injection drug use has become for public restrooms, and makes a case for safe injection centers. This is presently illegal in the U.S. Even Massachusetts General Hospital armed its security guards with naloxone kits, so they could give this life-saving medication to people they found who had overdosed in the hospital’s public bathrooms. Another patient suggested giving naloxone kits to people living in trailer parks. I know that feeds into a kind of stereotype of those who live in trailer parks, but apparently there is some basis for saying such residential areas have high density of people with opioid use disorders. It’s worth looking at. Several patients said that all people receiving opioid prescriptions for chronic pain should also be prescribed naloxone kits, and I think that’s been recommended by many health organizations too. Most communities have at least talked about arming law enforcement and first responders with naloxone kits, and hopefully that’s a trend that will continue to spread. Naloxone isn’t a permanent solution for opioid use disorder, but it can keep the people alive until they can enter opioid use disorder treatment. Because dead addicts don’t recover. I have plenty of things to be thankful for in my personal life, but this column is about my gratitude for what’s happening in my professional life. I believe stigma against medication-assisted treatment of opioid use disorders has decreased over this past year. With the continued appalling mortality from opioid-related overdose deaths, people in positions of power have been forced to look for solutions. And when you look for solutions proven to help reduce opioid overdose death, there’s more evidence for maintenance use of methadone and buprenorphine for these patients than any other intervention. If you do any research at all, you can’t ignore this evidence. Well, unless you are Dr. Phil, but I digress. In fact, some of my colleagues feel, and I agree, that abstinence-only treatment programs are committing malpractice if they fail to inform patients with opioid use disorder about the options of methadone and buprenorphine maintenance. Policy makers and people who decide who gets grant money now look for grant proposals that include medication-assisted treatment of patients with opioid use disorder as necessary to get grant money. Money talks louder than any lecture, conference, or review article, and so some professionals who didn’t “believe” in MAT in the past are now becoming believers. I am fine with that, since patients benefit. I’m excited to be involved with several grants, as a consultant in two and as a provider in another. This makes me happy, because all I have to do is what I always do – provide care and serve as a consultant if someone wants to pick my brain. I’m enthusiastic to see the final results of how we can improve care with better communication, too. More people know about naloxone for opioid overdose rescue. As a routine question when I admit new patients, I ask about past overdoses and I ask if they have a naloxone kit and if they know what they are used for. Most people know what the kits are for, and many already have kits. Some returning patients are reminded to tell me their kits have been used – usually on a friend or acquaintance. Most of our patients got their kits, directly or indirectly, from Project Lazarus, the grass-roots program that started here in North Wilkesboro. It’s been copied in many other places, and does a wide variety of helpful services. This program provides education for law enforcement, physicians, community leaders, and any other interested parties on opioid use disorder, opioid overdose, and how each part of the community is needed to improve the lives and health of these patients. As the founder of Project Lazarus, Fred Brason was given the Robert Wood Johnson award, and recognized for ground-breaking action in our community that can be duplicated in any interested community. My state now has third-party prescribing, meaning I can write a prescription for naloxone to a worried parent or friend of someone with opioid use disorder. I did this twice yesterday, after two of my office-based buprenorphine patients, stable for years, talked about their fear a family member was going to die of an overdose from active opioid use disorder. My patients were very grateful, and I felt happy my state felt this was an important law to enact. Naloxone kits aren’t treatment, but can help keep a person alive until they reach some sort of treatment. As I repeatedly say, dead addicts don’t recover. More physicians are willing to talk with me about the patients we share. Several months ago, a meeting was scheduled by one of our local OBs which included most of the obstetricians working in our area, all MAT providers in our county, the local health department, hospital representatives, and pregnancy care coordinators. DSS and anesthesiology were also invited but didn’t come. Our hospital’s new neonatologist was there, as was the head hospital pharmacist, who has always been an ally to me. I was there along with the nurse manager and program manager of our opioid treatment program. We came armed with reams of information and recent studies to hand out to all participants, along with some of SAMHSA’s publications about medication-assisted treatment of opioid use disorder in general. The meeting was ultimately productive, though it started poorly. In his opening statements, the head of the hospitals OB department accused me of “allowing” patients with opioid use disorders to get pregnant. I fired back at him, and accused him of being difficult to speak with because of his openly hostile stance on MAT. A pregnant pause settled over the meeting, if you will pardon the pun, until cooler heads prevailed. Then we started talking about the actual mechanics of how we all could improve communication and treatment for these patients. Aside from the opening of the meeting, it went well. We decided on ideas of how better to communicate with each other. Since that meeting, I have been sending updates to OBs of patients’ progress (with permission from our patients, obviously). I’ve been more diligent at asking patients to see their OB or the county health department for family planning if they aren’t on contraception and don’t desire a pregnancy. The last pregnant patient who delivered at our local hospital was happy with her treatment there, and says she was treated courteously by hospital staff. She had a chance to meet with the neonatologist before delivery and felt comfortable with him, too. Now for the best of all…our opioid treatment program just moved into a new facility. It’s great. It feels like a football field compared to the too-snug warren of offices we worked from before the move. Best of all, I am no longer located right beside the patient bathroom. My office smells gently of the scented candle I have on a shelf. And I have my own sink. I can wash my hands between patients without having to make a trip to the nearest bathroom! I’ve worked over fifteen years in OTPs, at over fifteen separate sites. This is the best physical plant I’ve seen. The company, a for-profit hospital and mental health chain, spared no expense with renovations. All of our computers are new, as is our phone system, and all of our furniture. We have six dosing windows so that once we are up to speed, our patients will have short wait times. Patients waiting to see me have a separate waiting room. New patients, usually not feeling all that well, don’t have to be around the noisy interactions of the main waiting area. Yes. Because it is a medical practice. 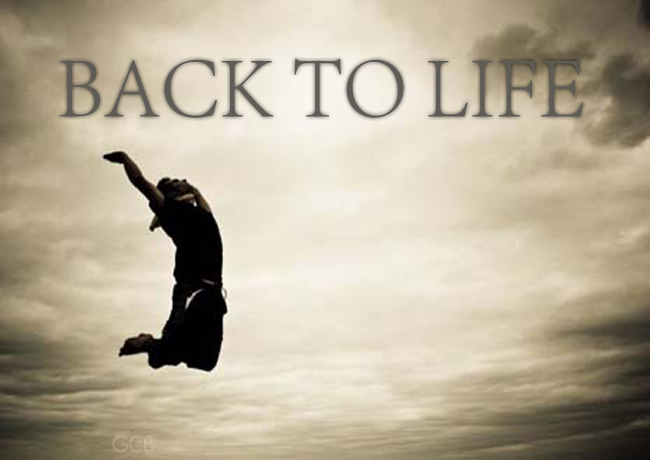 We provide life-saving, evidence-based medical care. The owners of this company sent an important message with this renovation – that our patients and our staff are deserving of a nice facility where we provide this important care. I have great expectations for 2017. Apparently heroin mixed with fentanyl is making a new appearance in Chicago, IL. An article in the Chicago Tribune two days ago (http://www.chicagotribune.com/news/local/breaking/ct-heroin-overdoses-met-20151002-story.html ) described how that city has seen 74 overdoses in 72 hours, all from heroin suspected to be laced with fentanyl. The article says that most of the overdoses were reversed with naloxone, better known as Narcan, but that emergency workers had to use two and three times the amount of Narcan as usual. However, at least one death is suspected to be from the dangerous heroin. Lab tests are still pending, and expected to confirm the presence of fentanyl. This latest distressing news comes against a backdrop of decreased funding for the treatment of addiction. In fact, the Republican governor of Illinois, Gov. Bruce Rauner, re-wrote a bill that originally required Medicaid to pay for addiction treatment medication and counseling. The Governor took out that portion of the bill, saying the state couldn’t afford the expense. This re-written bill was rejected by the state senate. Supporters of the original bill pointed out that studies show money paid for addiction treatment saves money in the long run, usually due to lower incarceration costs and lower medical costs. Today, the Chicago Tribune also ran an article about how some states are requiring school nurses to have access to naloxone in middle schools, junior high, and high schools in some states. The National Association of School Nurses has asked for naloxone to be part of each school’s emergency first-aid kits. This news about overdoses is appalling. I hope the state will look harder at whether they can afford NOT to fund addiction treatment for Medicaid patients. We know from prior studies that for every one dollar spent on addiction treatment, taxpayers are saved anywhere from $4 to $11. Consider one heroin addict who contracts endocarditis (life-threatening infection of heart valve). The duration of treatment with intravenous antibiotics is usually six weeks. If the patient requires heart surgery and valve replacement, costs go even higher. A conservative estimate for the cost of hospitalization might be tens of thousands to hundreds of thousands of dollars. But a year’s worth of medication-assisted treatment costs around forty-two hundred dollars for one person. For further perspective, I recently read that the cost of incarcerating one person for one year is around $24,000. Treatment saves taxpayer money. Even if citizens of Illinois don’t care about the health and well-being of addicts, they should care about the added taxpayer expenses of untreated drug addicts. 1. Don’t use alone. Use a buddy system, to have someone who can call 911 in case you stop breathing. Do the same for another addict. Obviously you shouldn’t inject at the same time. Stagger your injection times. Many states now have Good Samaritan laws that protect the overdose victim and the person calling 911 for help, so that police don’t give criminal charges to people who do the right thing by calling for help for an overdose. Take a class on how to give CPR so that you can revive a friend or acquaintance with an overdose while you wait on EMS to arrive. 2. Get a naloxone kit to reverse an overdose. Contact your local Harm Reduction Coalition via the internet, or Project Lazarus. 3. Use new equipment. Many pharmacies sell needles and syringes without asking questions. Don’t use a needle and syringe more than once. Repeated use dulls the needle’s point and causes more damage to the vein and surrounding tissue. Don’t try to re-sharpen on a matchbook – frequently this can cause burrs on the needle point which can cause even more tissue damage. 4. Don’t share any equipment. Many people who wouldn’t think of sharing a needle still share cottons, cookers, or spoons, but hepatitis C and HIV can be transmitted by sharing any of this other equipment. If you have to share or re-use equipment, wash needle and syringe with cold water several times, then do the same again with bleach. Finally, wash out the bleach with cold water. This reduces the risk of transmitting HIV and Hepatitis C, but isn’t foolproof. 5. Use a tester shot. Since heroin varies widely in its potency, use small amount of the drug to assess its potency. You can always use more, but once it’s been injected you can’t use less. The recent overdoses in Chicago illustrate how change in potency can be fatal. 6. Use clean cotton to filter the drug. Use cotton from a Q-tip or cotton ball; cigarette filters are not as safe because they contain glass particles. 7. Wash your hands thoroughly before preparing your shot, and clean the injection site with an alcohol wipe if possible. Don’t use lemon juice to help dissolve heroin, as it carries a contaminant that can cause a serous fungal infection. 8. Opioid overdoses are much more likely to occur in an addict who hasn’t used or has used less than usual for a few days, weeks, or longer. Overdose risks are much higher in people just getting out of jail and just getting out of a detox. Patients who have recently stopped using Suboxone or Subutex may be more likely to overdose if they resume their usual amount of IV opioids. 9. Don’t mix drugs. Many opioid overdoses occur with combinations of opioids and alcohol or benzodiazepines, though overdose can certainly occur with opioids alone. 10. Don’t inject an overdosed person with salt water, ice water, or a stimulant such as cocaine or crystal methamphetamine – these don’t work and may cause harm. Don’t put the person in an ice bath and don’t leave them alone. Call for help, and give mouth-to-mouth resuscitation if you can. Use a naloxone kit if you have one. 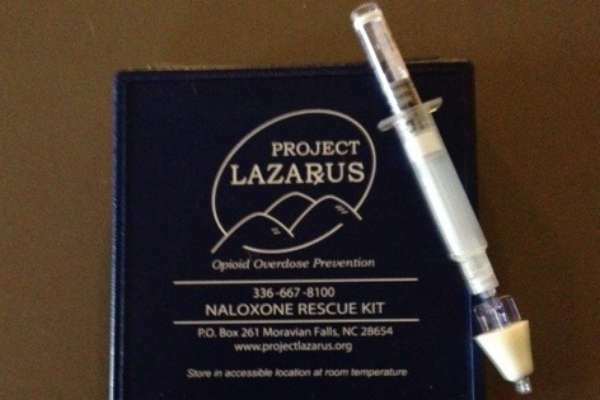 Many people think Project Lazarus provides naloxone kits to reverse overdoses, and this is true, but they do much more than that. Project Lazarus has sponsored educational programs for doctors to learn to be more cautious when prescribing opioids, has sponsored medication take back days where old prescription meds can safely be disposed, and has worked with agencies and organizations across North Carolina and the nation to better inform doctors, law enforcement, and elected officials about what works to prevent drug overdose deaths. Project Lazarus helped pass a Good Samaritan law North Carolina (see my post of April 20, 2013). Under this new law, a person who calls 911 to save another person’s life – or their own – won’t be prosecuted for minor drug possession, since they were trying to do the right thing and save a life by calling 911. The Huffington Post article describes how the opioid overdose death rate has been falling in Wilkes County, while the overdose death rate in other parts of the country has been steadily rising. They credit Project Lazarus for this reduction in overdose deaths. While I’m sure Project Lazarus has played a huge role in reducing overdose deaths not only in Wilkes County and the state of North Carolina, other factors have helped. Being an opioid addiction treatment provider, of course I believe availability of addiction treatment reduced deaths too. Project Lazarus also supported the opening of an opioid treatment program in 2011, Mountain Health Solutions. Started by Dr. Elizabeth Stanton, this program initially offered only buprenorphine. As it grew, it became obvious some patients needed methadone treatment, so option became available by late 2011. Mountain Health Solutions was eventually purchased by CRC Health in 2012, and has continued to grow. Located in a small town, we have nearly four hundred patients. I am honored to be the medical director at this program. It’s one on the best programs I’ve seen, and we work hard to keep improving our quality of care. Our program has done outreach -particularly in the medical community- to try to reduce the stigma of medication-assisted treatment. If you read my blog, you know this can be both a joy and a challenge. Initially, Project Lazarus paid for an intranasal naloxone kit for every patient entering our opioid treatment program. Now since our patient census has risen, Project Lazarus still pays half of the $50 cost of the kits. The opioid treatment program pays the other half, out of a $33 admission charge for new patients. I feel lucky to be able to partner with Project Lazarus, as I’ve seen these kits save lives. I know of four occasions when a naloxone kit saved a person’s life. Three of these four times, that person saved wasn’t even in treatment for opioid addiction. Most recently, a parent used a kit to reverse an opioid overdose in a child who accidently ingested the parent’s medication. The parent called 911 and while waiting for EMS to arrive, used one of the two vials in the kit. The child partially woke, and started breathing better. Then EMS arrived and took the child to the hospital. This child survived a potentially fatal overdose and is back to normal with no lasting damage, thanks in part to that naloxone kit and a parent who knew how to use it. Naloxone kits can be obtained much more cheaply, but contain Narcan vials, a more dilute form of naloxone that is meant to be injected. Those kits, which cost a few dollars, contain a syringe and needle instead of the Project Lazarus kit for nasal administration. Trying to inject naloxone into a vein is technically much more difficult than spraying the more concentrated form of naloxone up into the nose. And unfortunately, a kit containing a needle and syringe would meet resistance from the public. I can imagine all sorts of angry phone calls to our opioid treatment program: “My son came to you people to get off the needle and you GAVE him a needle and syringe? ?” Politically, the public would more likely oppose distribution of a naloxone kit with a needle than a kit for intranasal use. Fifty dollars for an intranasal naloxone kit to save a life is a pittance in the overall picture. Some insurance companies will cover these kits, as will Medicaid, but most of our patients have no insurance. They pay for their buprenorphine/methadone treatment out of their own pocket. Fifty dollars is a big sum for these patients. I am blessed to work for an opioid treatment program that gets financial help from Project Lazarus for these kits. And I am very blessed to work for a for-profit company, CRC Health, which is willing to bear half the cost of the kits, since this comes out of their profits. Most opioid treatment programs do charge patients an admission fee, but unlike Mountain Health Solutions, don’t put that money towards buying a naloxone kits for their patients. This is an example of the success that can happen when agencies work together toward a common goal. Last week I talked to a young person, a patient at an opioid treatment program, who saved someone with her Project Lazarus naloxone kit. As you know if you read this blog regularly, Project Lazarus is a non-profit organization that started in Wilkes County, North Carolina, dedicated to reducing drug overdose deaths. As part of the project, Project Lazarus pays for naloxone kits for patients entering medication-assisted opioid addiction treatment. The patients are given a prescription for a kit that will be filled for free at a local pharmacy. These kits are ingenious, because the naloxone is already packaged in a syringe with a spray attachment. There’s no needle. The person administering the drug pushes the plunger of the syringe to spray the medication into a nostril. Naloxone is absorbed through the skin of the nostril and into the bloodstream, reversing the effect of all opioids. 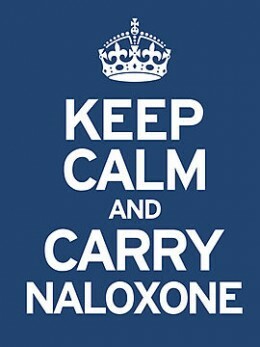 In this way, naloxone immediately brings the person out of opioid-induced sedation or coma. I talked to this person who used her kit, to get the full description of events. I’ve changed some details to prevent anyone from recognizing her. Cindy said she was driving across town when she had the sudden urge to visit a relative, whom we will call Bob. Bob was on parole, and Cindy wanted to stop by and say hello. Bob isn’t an addict, but has occasionally experimented with illicit drugs, including opioids. When Bob opened the door for Cindy, his first words were, “I think I’ve just taken an overdose.” An acquaintance sold Bob some prescription opioid pills, and moments before Cindy stopped by he took all of them. Right away, he began to fear he’d taken too much. Cindy wanted to take Bob to the hospital but he refused, fearing his parole officer would find out he’d used illegal drugs. Cindy agreed to stay with Bob, and warned him that if he passed out, she would call EMS, but Bob begged her not to do this. At first they talked and watched TV, but within an hour Bob got sleepy and his head nodded. Initially Cindy could still wake him by shouting, but she was alarmed to see his breathing slow. She said his lips began to turn blue, and he was taking huge noisy breaths only a few times per minutes. She lived nearby, so she sent her boyfriend to get her naloxone kit. She pushed the plunger and sprayed the naloxone into Bob’s nostril. She said it took less than a minute for him to wake with a start. He even jumped out of his chair. He was standing up and breathing heavily. It was a few minutes before he felt like himself again. Cindy started to call 911 but Bob again pleaded with her not to do so because of his fears about what would happen with his parole situation. Cindy was (correctly) worried the naloxone wasn’t going to last, so she sat with Bob through the whole night. Several hours after the first naloxone dose, she gave him a second dose, since he was again breathing slowly and heavily. It worked as well as the first. Thankfully, he was OK after that. The next morning, Bob was grateful to Cindy for saving his life. He knew he had nearly died, and told Cindy he was never going to use drugs again. The event happened a week or so ago, and Cindy says as far as she know, Bob hasn’t used any drugs since. Cindy saved Bob’s life because she had the Project Lazarus kit. I asked her what she would have done without it, and she said she would have called 911 even over Bob’s objections – she wasn’t going to watch him die. This whole episode illustrates some of the problems that can contribute to overdoses. First, it isn’t only addicts who die from overdoses. Bob is a young adult who by Cindy’s report has only experimented with drugs. The trouble is that with opioids, your first experimentation can be the last thing you ever do. If Bob isn’t an addict, he may be able to stop using after this near disaster. Second, it shows the new Good Samaritan law doesn’t go far enough. Bob was fearful about legal consequences of getting much-needed medical help. If Cindy hadn’t dropped by, this young man probably would have died. He had a brief period of time between realizing he may have taken an overdose and becoming so sedated he was unable to call for help, but he didn’t call, because he feared legal consequences. 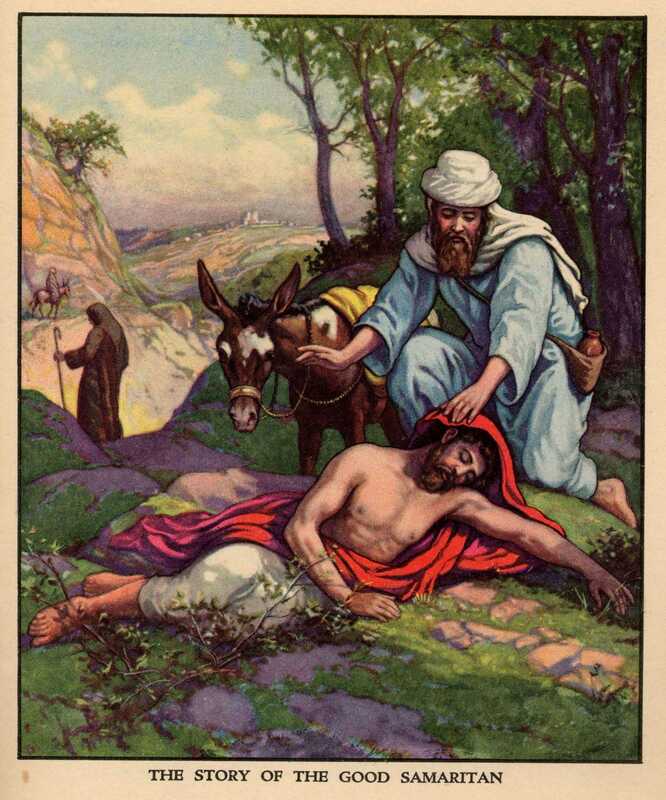 I think the Good Samaritan law should be broadened to include seeking help for oneself as well as for other people. Third, would it have been better for Cindy to forget her kit and call the ambulance for Bob? Maybe, though not from Bob’s point of view. Stories like these travel fast along the drug addiction grapevine, so I’m hoping more people will get interested in having a kit that can reverse an overdose, if for no other reason than getting help without involving authorities. I advocate making these kits available for anyone who wants one, if that’s financially possible. Over the period of a little more than a year, I’ve heard of two lives saved from opioid overdoses because other people used their naloxone kits. In both situations, the person saved was not the addict for whom the kit was prescribed, but a relative of that addict. This underlines the importance of getting these kits in the hands of friends and family members of all opioid users, even if the users are not addicts. Since the recent passage of the Good Samaritan law, it’s legal for physicians to prescribe naloxone for family member and friends of opioid addicts. In the news last week we learned Project Lazarus of Wilkes County will get an infusion of $2.6 million over the next two years from both a private charity and government funds. The naloxone kits are only one part of the total program, and I hope to see funds for the kits expand so that any doctor can write a naloxone prescription for any opioid addict, friend or family of an addict that can be filled for free. In an effort to reduce drug overdose deaths, North Carolina governor Pat McCrory approved a law earlier this month that limits legal consequences for people who call 911 to summon help for a friend who has overdosed. In the past, drug users have been reluctant to summon medical assistance for an overdosed companion, fearing police may arrive, and charge them with possession of drugs and/or paraphernalia. As a result, people die from overdoses due to a lack of timely medical care. In its place, the overdosed person’s companions may try an ineffective home remedy for overdose. The new law doesn’t give a pass for all drug possession. It says that a person acting in good faith to seek medical assistance for an individual suffering a drug overdose will not be prosecuted for possession of less than one gram of cocaine or one gram of heroin. I don’t know if that means possession of larger amounts may still be prosecuted, but I suspect so. There is no mention of prescription drug possession specifically in the law, but I hope prescription opioids would be treated the same as heroin. This new bill, called the Good Samaritan Bill, also says that if an underage drinker summons medical help for another person, the underage drinker will not be prosecuted by law enforcement, including campus police. The law says the underage drinker must use his own name when contacting authorities, reasonably believe he was the first to call for help, and must remain with the person needing medical help until it arrives to be covered by this law. The bill has provisions for doctors to be able to prescribe an opioid antagonist such as naloxone to any person at risk of having an opioid-related overdose. Doctors can also prescribe this medication to the friend or family member of a person at risk for an overdose, even if that person is not a patient of the doctor. Also, a private citizen who possesses an overdose kit can administer it to another person who has had an overdose, so long as they use reasonable care. This law says the private citizen is immune to civil or criminal liability. This is a great new law, and hopefully it will reduce witnessed overdose deaths. But the law won’t help unless addicts and their companions are aware of this law. Spread the word!